The Graduate Management Admission Test (GMAT) is the primary test used by business schools to assess their applicants preparation for entry into MBA and related graduate business programs. This multiple-choice, computer-adaptive exam tests a student’s analytical writing, quantitative analysis, integrated reasoning and analysis, reading comprehension and critical thinking skills. Z Prep! can help you prepare for the GMAT exam with a comprehensive review of the skills areas and a focus on understanding as well as test taking strategies to help you do your best. Our program includes GMAT sample questions and practice tests to help you prepare for the real thing. Z Prep!’s GMAT test preparation tutors are available throughout the United States and Canada. Click here for more information about the GMAT. 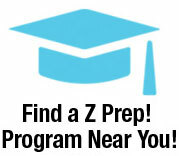 Z Prep!’s GMAT program includes a practice test and review. Your curriculum will focus on your weak areas and your tutoring hours can be customized for your learning needs and busy schedule. The program will include an individual learning plan and homework to help you reinforce concepts. Our GMAT tutoring students see immediate results in better test scores. 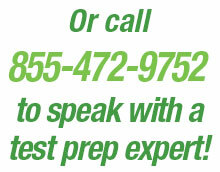 Contact Z Prep! today for more information on our GMAT tutoring and take a step to improve your future today. & Improve Your GMAT Score!